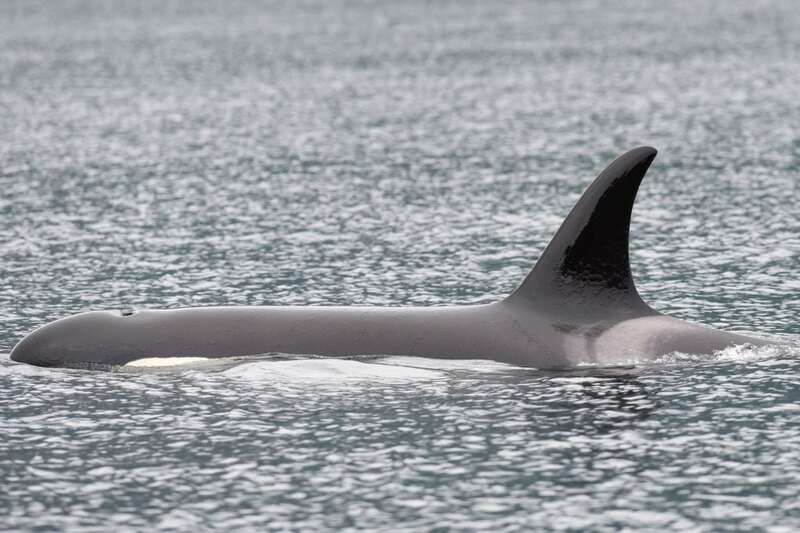 By adopting one of the amazing orcas who live off the coast of Canada, you’ll help protect them from threats like industrial development, fish farms, and logging. 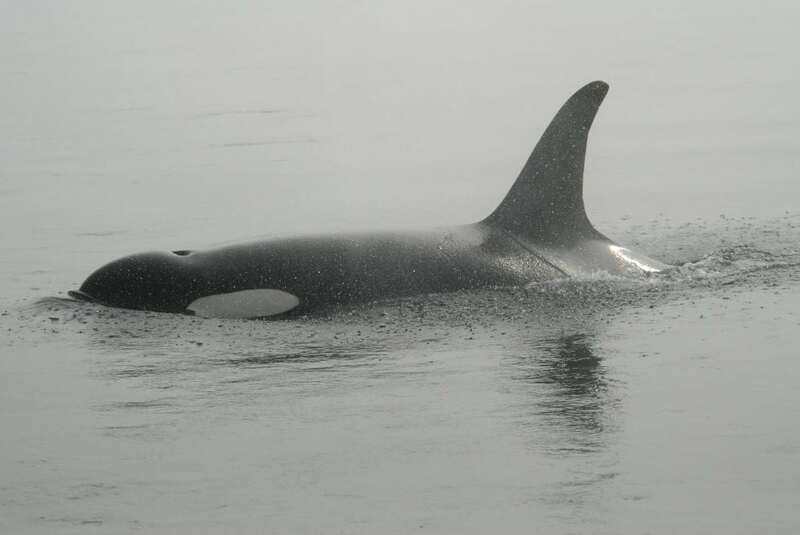 With our adoptions you get ongoing updates about your adopted orca so you really know what they've been doing. 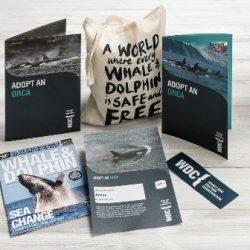 You can choose between the adult or junior adoption goodies. 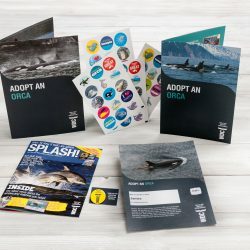 Adopt an orca and make a real difference! 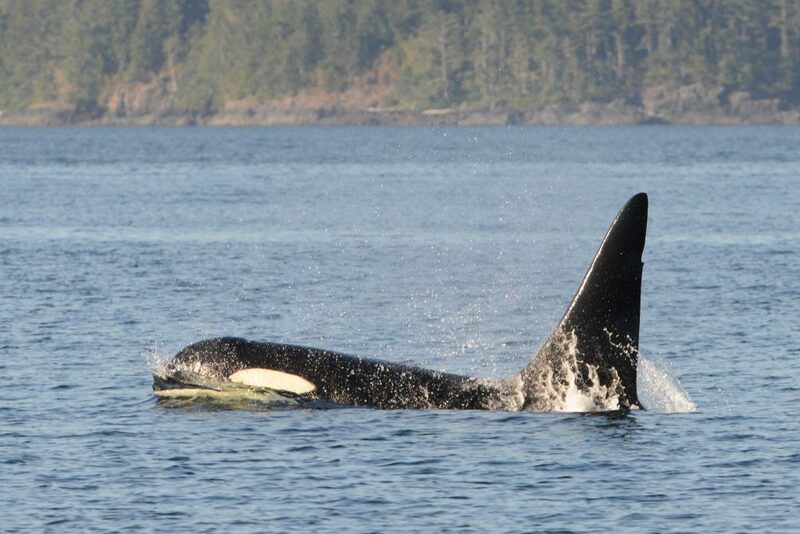 Bend is a smart, female orca. 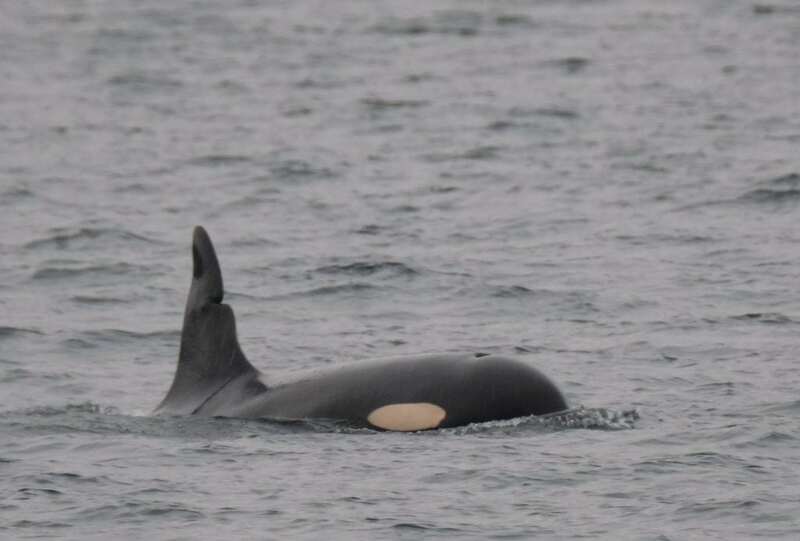 When she was born in 1999, no one had seen an orca quite like her. 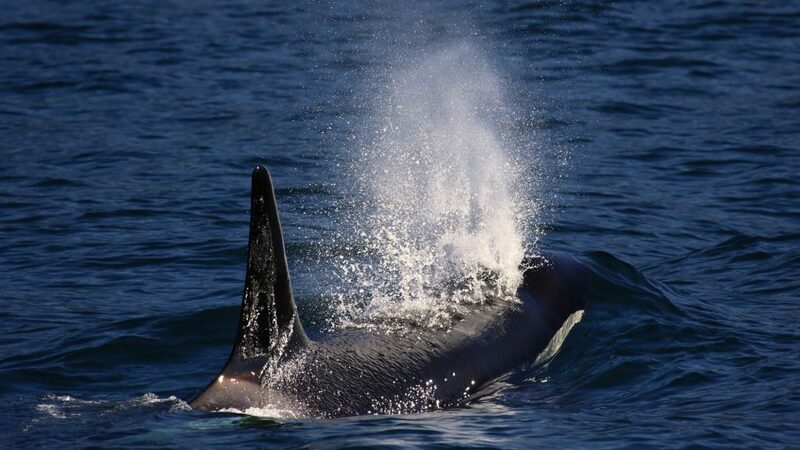 On the front edge of her dorsal fin was a notch and as she grew her lopsided fin took on the comical look of the sorting hat from Harry Potter. She became a mother for the first time in 2013 when she gave birth to Jamieson.